Merry Christmas! I hope that you had a wonderful Christmas. I am at home visiting family. It has been a marvelous break. The time has gone by too quickly, of course. I made and ate this tomato sauce the week before leaving. The original recipe came from Emeril Lagasse, but I made a few changes, of course. This is a simple recipe, but it requires a good deal of time to simmer. 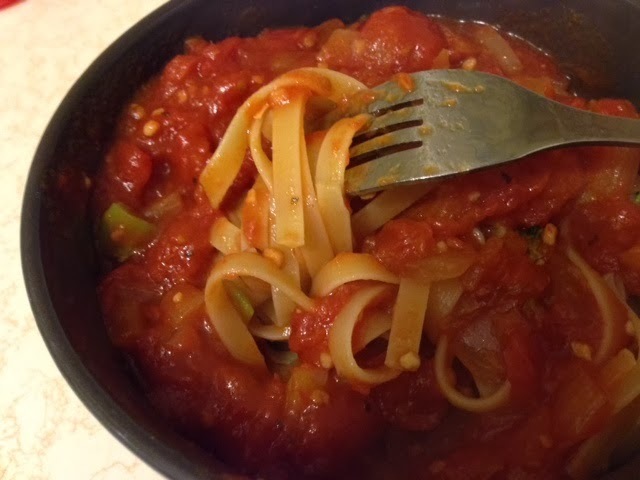 The ingredients are 1 large onion, 3 tablespoons extra-virgin olive oil, 2 tablespoons minces garlic, ¼ cup tomato paste, 1 teaspoon balsamic vinegar, ½ teaspoon hot sauce, ¼ teaspoon crushed red pepper, ½ teaspoon dried basil, and 2 28-ounce cans whole tomatoes. I sautéed the chopped onion in in the oil over medium heat for around 5 minutes. I added the garlic and cooked for another minute. 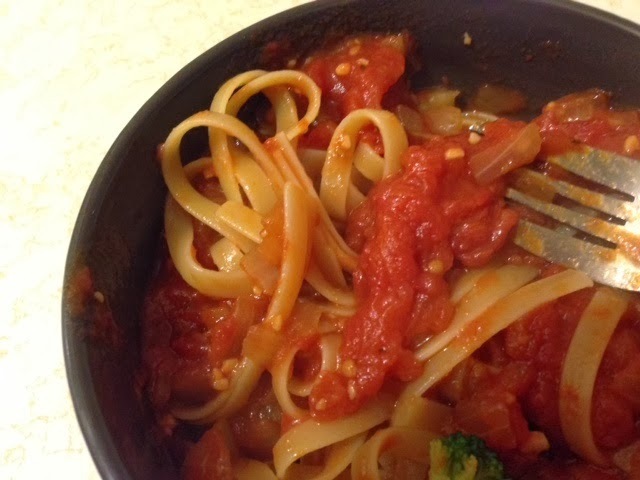 I added the tomato paste, salt, balsamic vinegar, hot sauce, crushed red pepper, and basil and cooked for another minute. I added the tomatoes. 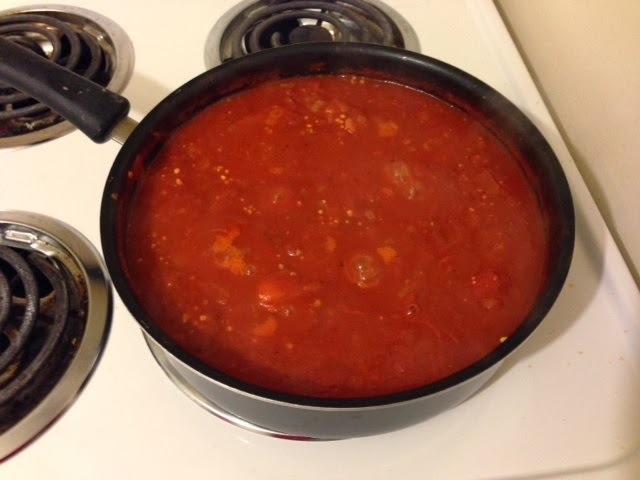 The original recipe suggested you crush the tomatoes before adding them. I didn’t do that, but I should have. The tomatoes didn’t break down as much as I would have liked. There was a little too much texture for my liking. I also added all the tomato juices in the cans. I brought this to a simmer and cooked for 40 minutes. I would have kept it on longer, but I ran out of time. Sometimes I don't allocate sufficient time for my tasks and end up late for things. Most tomato sauce recipes I read suggest simmering the sauce for at least an hour. Regardless, it was a flavorful sauce. Its smell was mouthwatering. 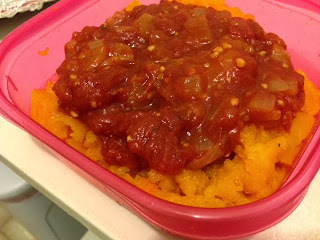 I ate the sauce with pasta, of course, and baked butternut squash. I would suggest smashing the tomatoes before adding them to the skillet and simmering for at least an hour.